The body needs adequate nutrition to keep healthy and fresh. Given the importance of health care has resulted in many foods and drinks are recommended for consumption. Today many types of health drinks are widely recommended by health experts. Carrot and ginger juice to boost immunity both for children and adults. Vitamin A and C in carrots is good for the immune system of the body. In particular vitamin A increases the production of white blood cells. 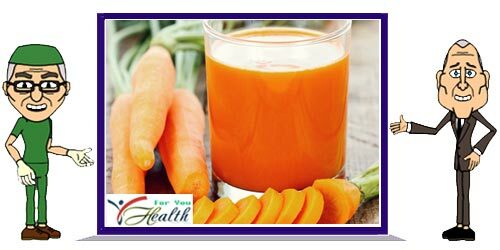 Nutrients contained in carrot and ginger is good for nourishing the skin health. Carrots are rich in vitamin A and antioxidants that are good for skin health. Vitamin A helps moisturize the skin, prevent acne and pigmentation and uneven skin tone. To make carrot juice and ginger is very easy. Materials required is very easy to obtain. Wash to clean carrots and ginger. Then peel the skin. Enter the carrots in a juicer, then ginger. Pour into a glass. Add the lemon juice. Add a little cinnamon and salt. Carrot and ginger juice ready to be served. Make carrot juice and ginger is very easy. How interested to try? Good luck.